This is the second battery I have purchased from Tanya and I've been very pleased with the service and quality of the products, the charger Tanya recommend do the job great. Prompt delivery, although I needed to drive about 15 miles to the depot to get it urgently. Works well on a frosty morning even though the CCA rating was lower than recommended or my car. Seems like good value for money so far! Had it for about 3 weeks. Fast delivery well packaged and a reasonable price. All good. Great battery, great price, fast delivery and excellent communications. 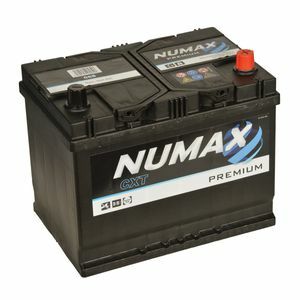 Only battery that fits this 2005 2.2 DCi X-trail - Great! Fast delivery (next day) Good price, well packed. No hassle. Thanks chaps! Very helpful on phone. Quick response with confirmation, excellant service with delivery. I would recommend this company, and they are Ever Ready to assist in your queries. Good battery, excellent price, sound advice, quickly sent and well packaged. Excellent delivery time, very well packed and competetive price. Oh yes, it worked fine too ! Have bought from you before and would happily buy from you again. Many thanks, John. Battery arrived next day. Installed that evening and car has started very quickly eversince.